Round One of Rogershill Off Road Events summer series saw a good entry of riders line up in near perfect conditions! Ross Morrison got the hole shot in the championship class, leading the way for the first few corners. By the end of the first lap it was Dom Thomas who was out in front, with Brad King and Dylan Baynton in hot pursuit. After lap two things had changed with Brad King out in front, Dylan in second and Dom third. Dom suffered some bad luck with his chain coming off, leaving 3rd place open for the consistent Brad Rowland. Fourth place finisher Josh Player was flying, literally, into hedges, leaving him looking like he’d been attacked by a small bear! In the Expert Vets group Andy Frost got the hole shot, but Stan Watt wasn’t going to let him run away with it, putting his local knowledge to good use keeping on his tail. However once Andy knew where he was going, Stan by his own confession couldn’t keep the pace! Number 1 Gary McCoy had to settle for third unchallenged by the rest of the pack, having lost his usual pursuer, Jack Twentyman after Jacks moose broke up. The amazing time keeping ladies Abbie and Claire would like to thank Si Thomas who said thank you, every single lap and made their day! Richard Good won the expert class leading from the start, fending off early competition from James Boyce but boycey’s lack of recent bike time meant he faded and by lap four Richard had a convincing lead. Niles Reid taking second from James Boyce too, the top three remained unchanged for the rest of the race. In the clubman A class, it was a close battle between Jason Connor, Paul Feltham and Zac King. Paul got the holeshot, but at the end of the first lap Jason was out in front pulling an early lead and winning the class. Paul (2nd) and Zac (3rd) swapped positions throughout the 3 hrs, both narrowly missing out on the extra lap. The clubman B hole shot was taken by Em Hall on the bravery beta 200 however by the end of the first lap Adam Morgan was out front, pulling away from the rest of the field by lap four. Paul Jones and Em battled for second, but Paul had the edge pulling a 30 second lead over the last few laps. 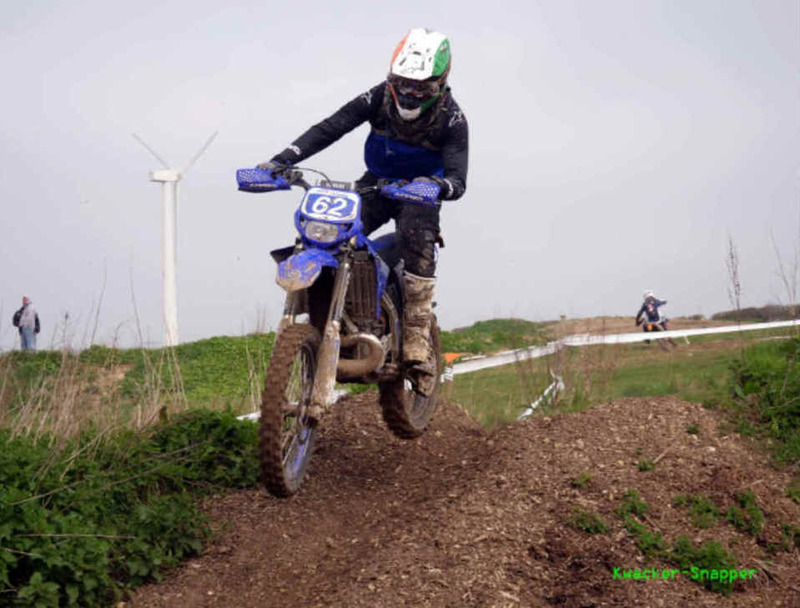 In the clubman Vets class Paul O’Connel got the hole shot, showing that beta’s really do have the best electric start! He then wheelied the length of the start straight, but his luck ran out later as his race was put to a stop by a broken and dislocated thumb, he sorted the dislocation himself, but the break is going to take a little longer! George Leyland took an early lead but was quickly overtaken by Toni Burrows. However, by lap four Julian Earle was in pole position leaving George second and Toni third. Dave sawtell was in the mix early on but smoked his rear brake. In the sportsman Class Alex Westlake got the hole shot and led for the entire race pulling a huge 6 minutes on the rest of the class. That left Jacob Haigh and Callum Lewis to battle for second, Callum had the upper hand for most of the race but had to settle for third in the end behind Jacob. Pete Nash was the winner of the sportsman vets class, Greg Tosdevin grabbed the hole shot but Pete snuck through at the half way point. Chris Dello on the Bravery KTM held off close competition from Jeff White finishing 15 seconds ahead. 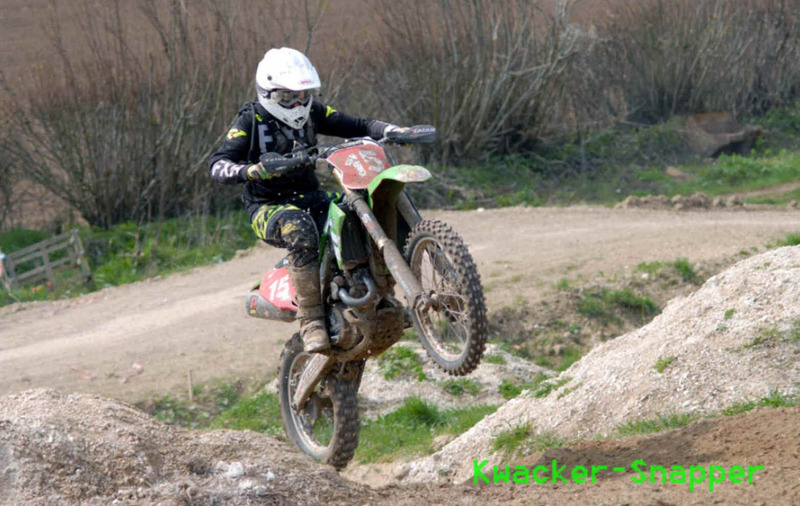 Unfortunately as Dorset Enduro’s timing system became unavailable for this event and we had to take the gamble of hiring in an alternative system, which was working perfectly on Saturday! but alas packed up after 20 minutes in on Sunday! luckily we had set up a go pro to record everyone passing through and Claire and Abi stepped in to manually record further laps and finish times .After trawling through over a thousand number entries and 3.5 hours of video footage we think the results are now pretty accurate but we can only apologise to anyone who feels we got it wrong, although as a number of people had either the wrong number on their bike or black numbers on dark backgrounds, things were a little tricky! Next round will be back here at Rogershill but we will aim to completely redesign the loop, we had another venue lined up but can’t use it until later in the year due to not wanting to trash the bluebells, it’s a popular venue, last used by SCEC and we look forward to bringing it back into use. Watching the race on Sunday was a pleasure, lots of close racing and friendly rivalry and thanks to everyone who supported this first round but also a massive thankyou to everyone who helped us put on this event both track laying, marshalling, lapscoring and clearing up afterwards!